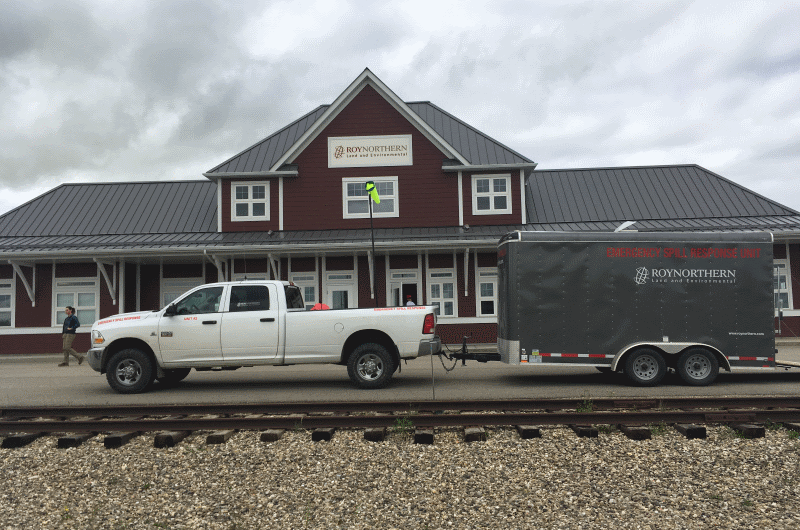 Roy Northern has partnered with ENVIRO HAZMAT™ EMERGENCY RESPONSE INC., a professional spill response company in order to provide emergency spill response services in northern British Columbia and Alberta. With trained personnel, dedicated spill response vehicles, and a large stock of sorbents and tools we are able to quickly respond to environmental emergencies and spills. Enviro Hazmat™ Emergency Response Inc. is an Alberta based company that has been in operation since 1993. Enviro Hazmat’s primary focus is on Hazmat Emergency Spill Response, waste management, site decommissioning, E.C.A (Emergency Compliance Assessment), Hazmat/Safety training, and the ongoing development of new technologies. Enviro Hazmat’s areas of market focus include, but not limited to, municipal fire departments, government, transportation, industrial facilities and the oil & gas industry. In Collaboration with Enviro Hazmat™ Emergency Response Inc.